I think that most of us probably wanted to live in a tree house at some point when we were growing up. I know when I was a kid I wanted to live in a giant redwood like an Ewok so badly that I could barely stand it. 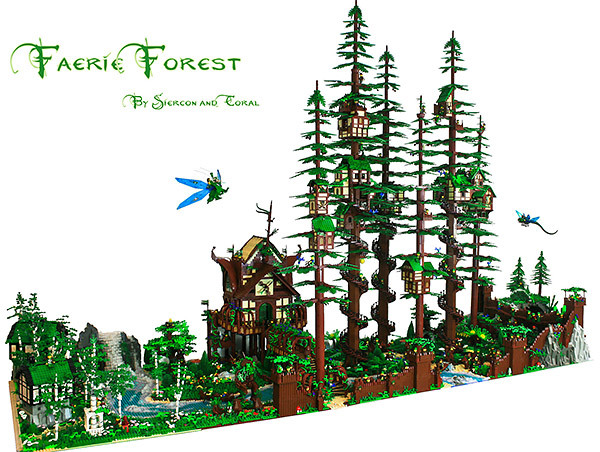 A couple LEGO builders named Sean and Steph Mayo (aka Siercon and Coral) have designed what they called the Faerie Forest out of LEGO, and it reminds me of that forest on Endor that I dreamt of years ago. 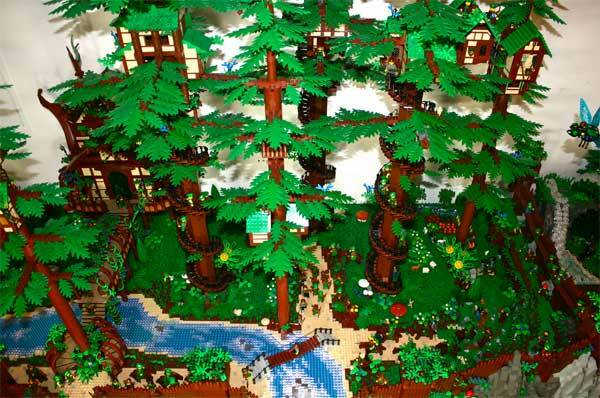 The tall, thin trees with the LEGO homes around their trunks are very cool. When you look at the first image of the entire scene from a distance, it’s very hard to tell all the intricate work that went into the design. Once you look at the close-up images and see how much work was put into each of the tree houses and the river, it’s even more impressive. 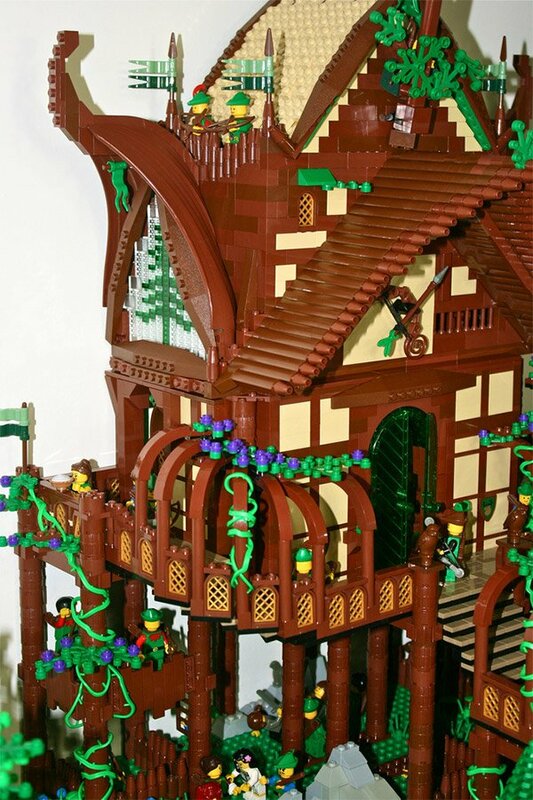 The scene is filled with tiny fruit trees, gardens, and lots of little people living out their Minifig lives. 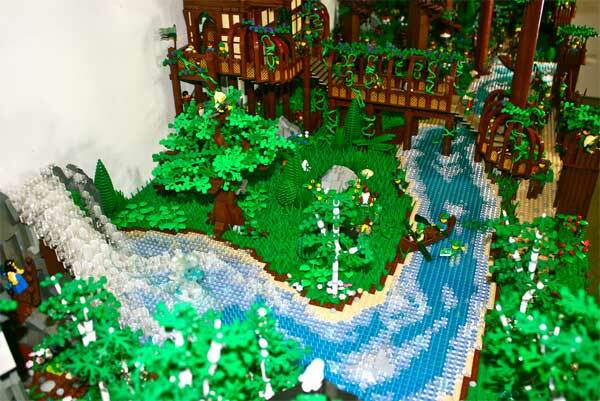 I wonder how long it took the duo to build this enormous LEGO diorama.